TIRUPATI's innovation led strategy has helped it to develop a technology to produce various Methyl Esters and Specialty Esters with a wide range of industrial applications. These are an Eco-friendly substitute for many Petroleum based products, the usage of which results in reduction of pollution levels and contributes positively to the environment and economy with many indirect benefits. 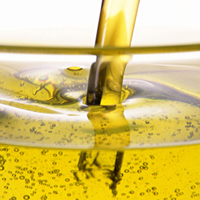 Biodiesel is one such application of Methyl Esters and is marketed under the brand BIOWIN™. All of TIRUPATI's Methyl Esters and Specialty Esters are available in various grades and can be customized to the specific requirements of the customer.